On Tuesday of this week, we enjoyed a fabulous Bruntwood Prize Panel Discussion on ‘What Makes a Great Play?’ in the beautiful surroundings of Wilton’s Music Hall in London. 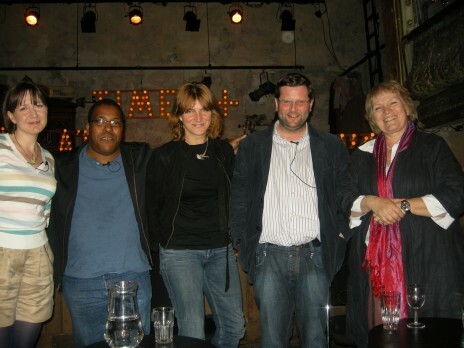 In partnership with Times+, the event was chaired by critic Libby Purves with playwrights David Eldridge, Rebecca Lenkiewicz and Roy Williams and the Artistic Director of the Bush Theatre Josie Rourke. Listen to the discussion and questions from the audience below. With thanks to Wilton’s Music Hall for the recording. Expletives not deleted. Read Jo Caird’s blog about the discussion on Whatsonstage.com, here. To read more tips and advice from the point of view of a range of different writers, including Linda Brogan, David Eldridge and Simon Stephens, click here.